Location: On the east side of St. Johns Road (B3327) immediately south of the Castle Road overbridge. 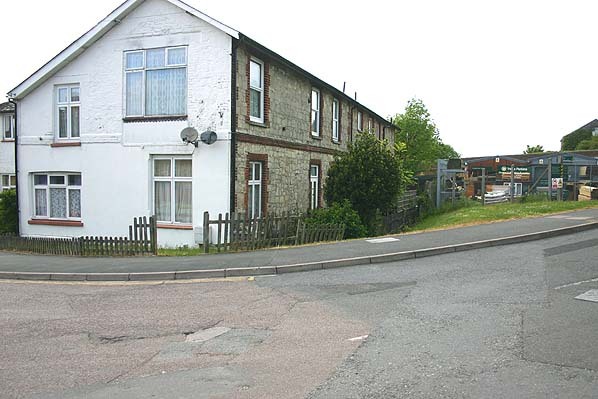 Present state: The station has been demolished with a new road running across the south end of the site. 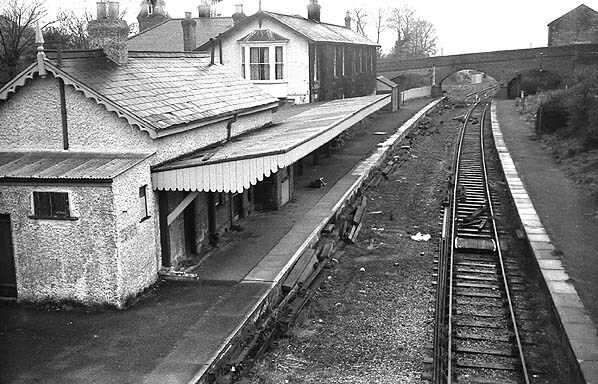 The adjacent Station Hotel still stands having been converted into residential units. 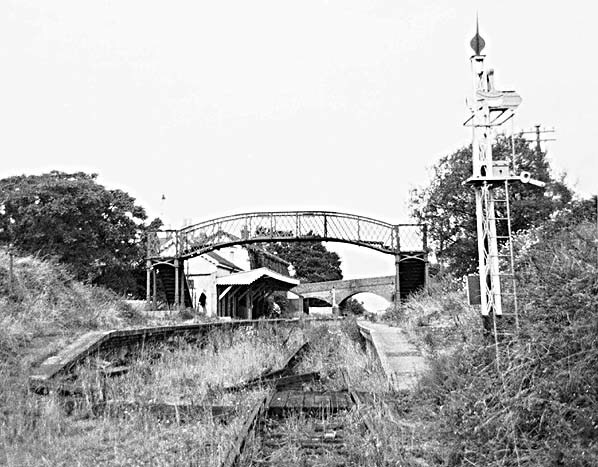 Notes: As built Wroxall Station had a single platform on the up side of the line. 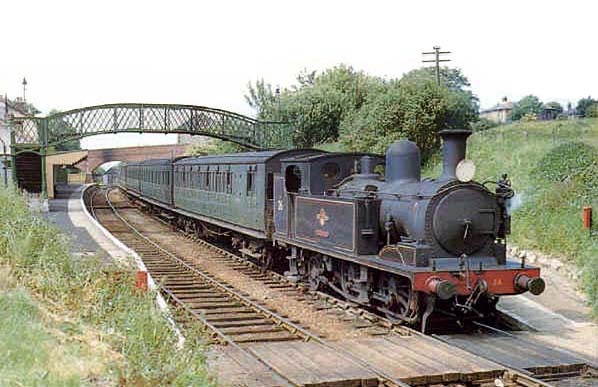 In 1925 the Southern Railway increased the line capacity on the Ryde - Ventnor route. 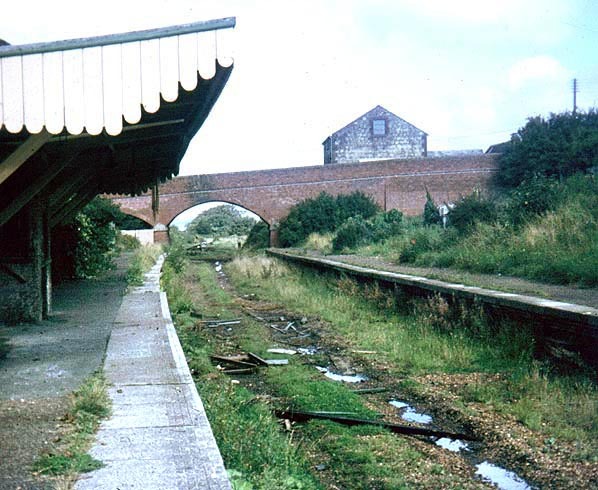 At Wroxall this included a new crossing loop and down side platform with a small waiting shelter. 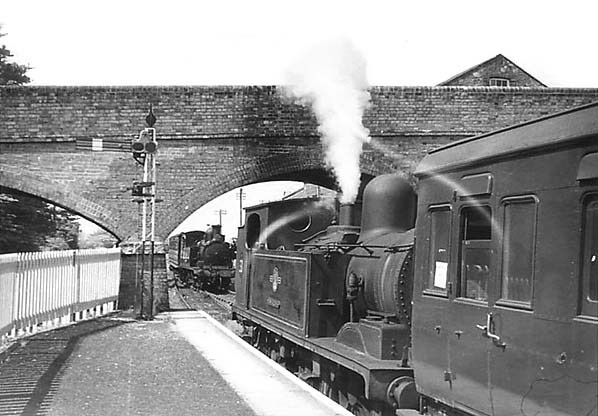 A single siding served a small goods yard on the other side of the Castle Road overbridge. 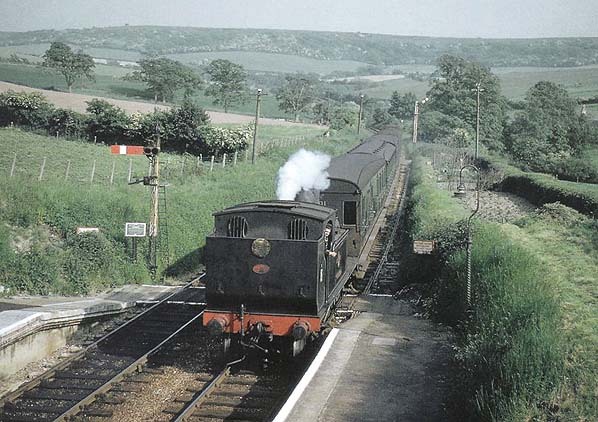 Wroxall station looking north-east in June 1961 as a Ventnor train is about to depart. 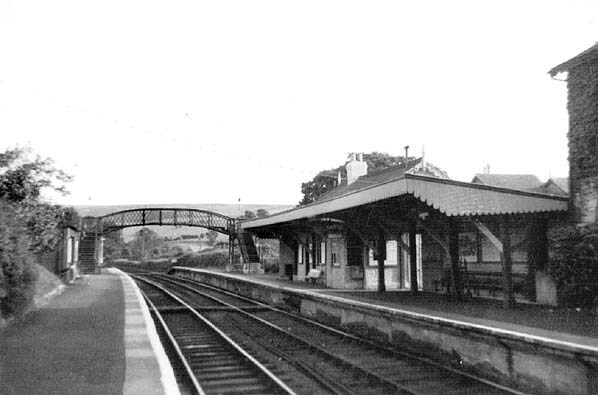 Wroxall Station in March 1968 - the Station Hotel can be seen behind the main station building with the Castle Road overbridge in the background.